KATHMANDU, May 16 : A cargo aircraft of Makalu Airlines, which had gone missing in mid-western Nepal since Wednesday morning, has been found crashed, authorities confirmed. 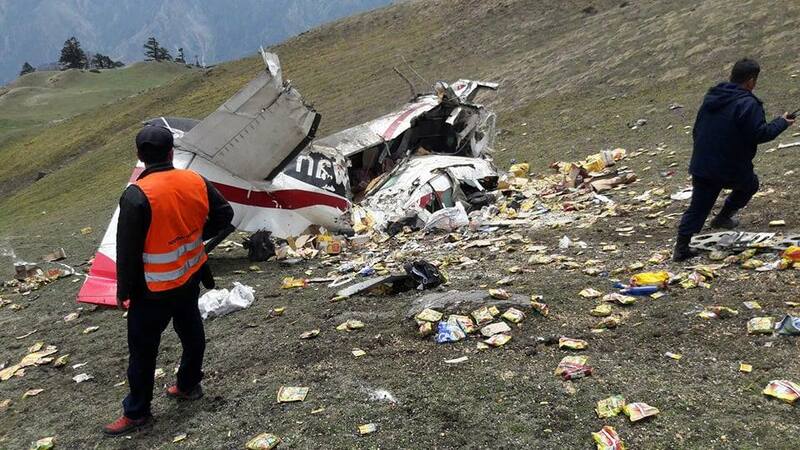 The cargo plane with sign 9N-AUJ has been found crashed in Bahunkharka area of Humla district after nearly four hours of missing. "The aircraft has been crashed while both pilot and co-pilot on board have died. Preparations are underway to airlift their bodies to Kathmandu," Prem Nath Thakur, Spokesperson at Tribhuvan International Airport, told Xinhua. Pilot Kiran Bhattarai and Copilot Adhitya Nepali were on board the cargo aircraft. .The plane with two crew members on board had taken off from Surkhet to Humla district headquarters Simikot at 6:12 a.m. local time. The cargo plane was scheduled to land at 6:55 a.m. at Simikot, but it went out of contact just a few minutes before the landing, according to airport officials. The pilot and the co-pilot were the only two persons onboard the aircraft. "We are yet to ascertain the cause of the crash. We will launch the investigation soon," Thakur added. Humla is one of the most remote and isolated districts in Karnali region of Nepal. The district is accessible only through small aircrafts, while it is the last district of the country to be connected by road. Wednesday's incident came nearly two month after a US-Bangla aircraft crashed at Nepal's international airport, killing 51 people and injuring over a dozen.